Mark Daniels is the UK’s leading Michael Bublé tribute artiste – it’s his full time job and passion. Mark has developed the show over the last seven years and now tours Europe’s only Michael Bublé theatre show, backed by The London Big Band. 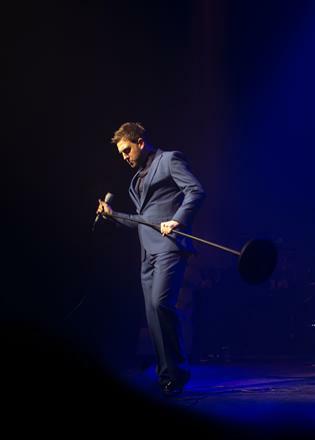 The show’s big band sound, along with Mark’s mesmerising likeness to the modern day Canadian crooner, will appeal to fans of big band swing music and Bublé alike. Following a hugely successful 2016 show tour, Ultimate Bublé is taking the UK theatre circuit by storm with the largest Michael Bublé theatre show of it’s kind, in 2018/2019.